Cash For Cars Banyo is the best method of getting rid if an unwanted car. QLD car wreckers have been in this industry for over two decades. From our experience, we know that seemingly worthless vehicle can also fetch you some money. So don’t sit on that old, damaged, ruined car. Call us at the earliest to know what you can earn if you decide to sell old cars for cash. We are the most popular Car Buyer Banyo. We buy cars for cash without worrying about the make or the model of the car. We also buy cars that have seen better days. We usually come across cars that are damaged, have been in an accident, are wrecked in natural disasters, are old, and are unwanted. However, we buy all such car and in fact, are known to pay top cash for junk cars. So, don’t hesitate to contact the most efficient Brisbane Cash For Car – the QLD car wreckers. We are in the business of car wrecking for around two decades. We know that as responsible car wreckers, it is our duty to ensure that whatever vehicles we buy gets disposed of in an eco-friendly manner. Therefore, when Brisbane Car Wrecker pay cash for junk cars, cash for unwanted cars cash for used cars, cash for damaged cars, or cash for accidental cars and buy such vehicles, we know how to treat them. When the vehicles are in working condition, we sell them as second-hand cars at cheaper rates than our peers. Many aspiring car buyers cannot afford to buy a brand new car. However, with our quality pre-owned car available at an affordable rate, everyone can own a car. And, if instead of the entire vehicle, we are able to save only the working parts, we sell them too as quality used auto parts. Or, if the vehicle and its parts both are beyond saving, the only option we have is to recycle the metal. This metal sells for a good price as many companies that use recycled metal for producing new goods. So, all in all, we ensure zero metal waste and harmful releases in the environment. If you ever want to know that why Sell My Car Banyo to us, read on. Selling an unwanted car privately is not only time-consuming but also needs lots of patience, energy and of course the money. Also, the condition of the vehicle plays a major role in finding a suitable buyer. Furthermore, the paperwork needed, the guarantee of payment from the buyer is always a nightmare. On the other hand, if you decide to opt for the best Brisbane Car Removal service provider i. e. us, you can easily get rid of your car in spite of its worthless conditions. We also complete all the legalities and paperwork on your behalf that too without charging anything to our clients. Also, with us in the picture you need not incur any kind of cost for selling the car including for car removal services. We offer free car removal services to all our client. Also, we can close the deal on the same day along with full payment on the spot if the client wants it. So, why bother yourself by deciding to sell it on your own, just call us who buy cars for cash on a daily basis. We mean it when we say we buy vehicles of all shapes and size. Besides the regular passenger car we deal a lot in trucks. 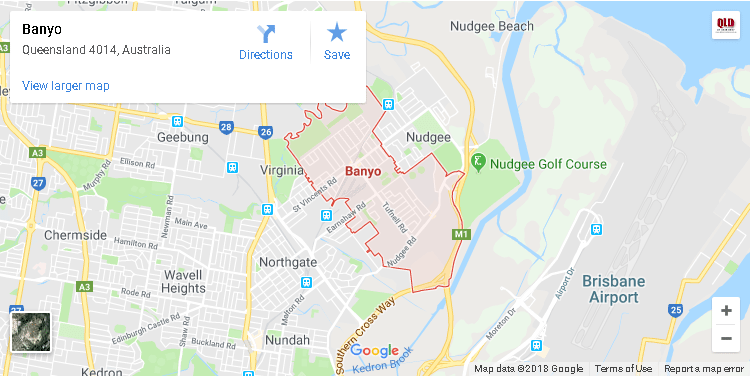 In fact we are a well-known Truck Wreckers Banyo. We have the resources and the expertise to extend the same faultless service for truck removal as we do for cars. The size of the truck might possess some problem to other wreckers, but for us it is a daily practice. Furthermore, all our machine operator receive frequent training in operating the machine as well as in first aid. We assure you that no damage will occur to your place while removing the truck. Also, with the best Brisbane Truck Wreckers, you can receive cash up to $7000 for your unwanted truck. So, why wait? Call us now! Changing a faulty part is a tedious task. You need to find the exact part that too at a price you can afford. Also, if the cost of the Used Auto Parts Banyo is more than the car’s value, it doesn’t make sense to buy it. So, what do you do? It’s easy; you contact us – the best seller of Used Auto Parts Brisbane. Due to our dealing in all sorts of car we have access to innumerable quality used part from the most common to the most difficult to locate used part. Therefore, if you need a part at a reasonable price visit us.